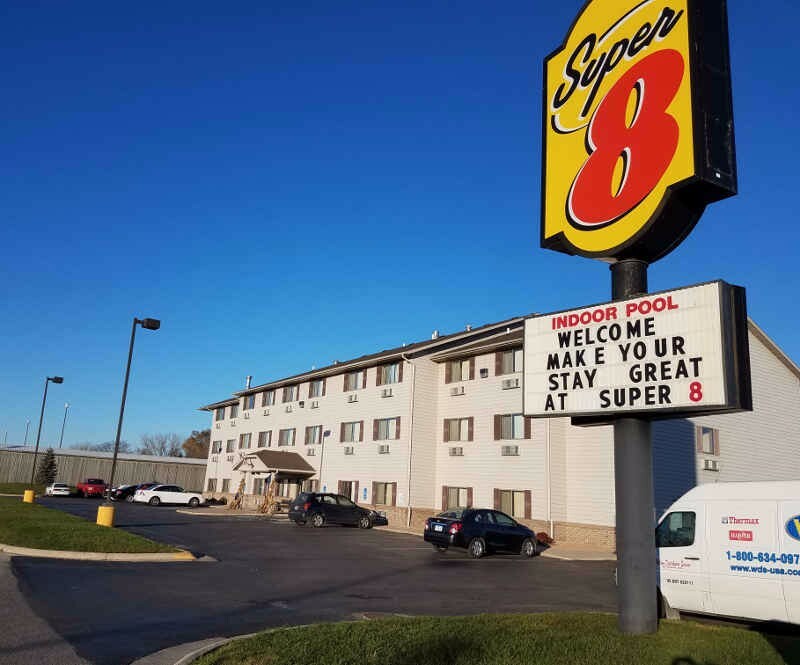 Stay Super 8 Hotel Mason City, Iowa - Pet Friendly & Great Location! The Super 8 Hotel is conveniently located on Hwy. 122 off I35 and just 5 minutes away from Mason City’s Municipal Airport. Close to the North Iowa Events Center and walking distance to restaurants and shopping – you’ll be close to everything you need. The hotel is pet-friendly and offers onsite parking. Balcony & family/oversize rooms available. Wake up relaxed and enjoy a free complimentary breakfast. Start your day with a tour of the Music Man Square, or the MacNider Art Museum. Visit the Surf Ballroom which houses the Buddy Holly museum located in Clear Lake, just 7 miles west of Mason City. Handicap accessible, internet access, group rates, motorcoach parking, blow dryer, coffee maker, iron and board, microwave, laundry facilities.